The HASDEL project started in March 2013 and will run for 18 months. It is a continuation of the previously completed COMPASS project, which started in 2008 and ended in 2010. 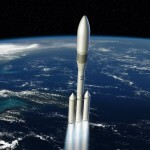 It is carried out by a consortium consisting of Airbus Defence and Space, RWTH and Fondazione Bruno Kessler (FBK), and will build on the COMPASS project by enhancing the tools, technologies and theories to meet the verification and validation needs of launcher systems, rockets and space transportation vehicles. These systems can be characterized by having a high criticality; requiring a high level of availability; and requiring complex fault management systems. To address these aspects, the HASDEL toolset aims to improve the previous work by enhanced capabilities of specifying timed behavior, extending existing analysis methods and adding support for timed failure propagation models to support these new types of systems. The focus of RWTH will mainly be on the analysis of performance characteristics of models exhibiting both probabilistic and timed behavior, as well as non-deterministic behavior. This requires changes to the backend of the toolset, where analysis is performed, and the frontend, where the input formalism has to be extended in order to support the notion of time in failure models.